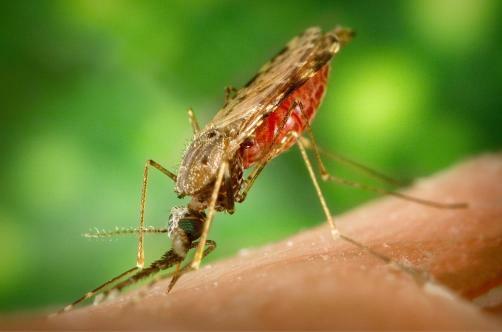 Scientists were able to supress mosquitoes appetites using diet drugs for humans, according to research published in the journal Cell. The drugs could one day be used to curtail the spread of diseases such as malaria, Zika virus and dengue. Like other mosquitoes, female Aedes aegypti, feed on human blood to get the proteins necessary to produce their eggs. Once they have their fix they stop biting and lay their eggs. However scientists were able to hijack the process through which mosquitoes appetites are supressed and thus were able to stop mosquitoes from biting. The mechanism relies on molecules called neuropeptides which allow the nervous system to communicate. In particular, neuropeptide Y (NPY) receptors were responsible for the mosquito’s blood seeking behaviour. Knowing that human appetite suppressants also work on NPY receptors, Leslie Vosshall who led the research, decided to take a “completely zany” approach in feeding human diet drugs to mosquitoes. The drugs worked as mosquitoes that had been fed the appetite suppressants were much less likely to approach a human-scented lure. The drugs seemed to work for around two days. The researchers then used the gene editing tool CRISPR to prevent the proper functioning of NPY-like receptor 7 (NPYLR7). Those ‘edited’ mosquitoes that were later fed diet drugs did not have the same response, suggesting that NPYLR7 was key to regulating the mosquito’s appetites. The team thus identified six promising compounds which are able to supress mosquito’s appetites but which do not have an effect on humans. “If today I could convince every mosquito on Earth to drink [...] our drug, every mosquito on Earth would lose its appetite for 2–3 days,” Vosshall said.